It is the best season to enjoy strawberry desserts. 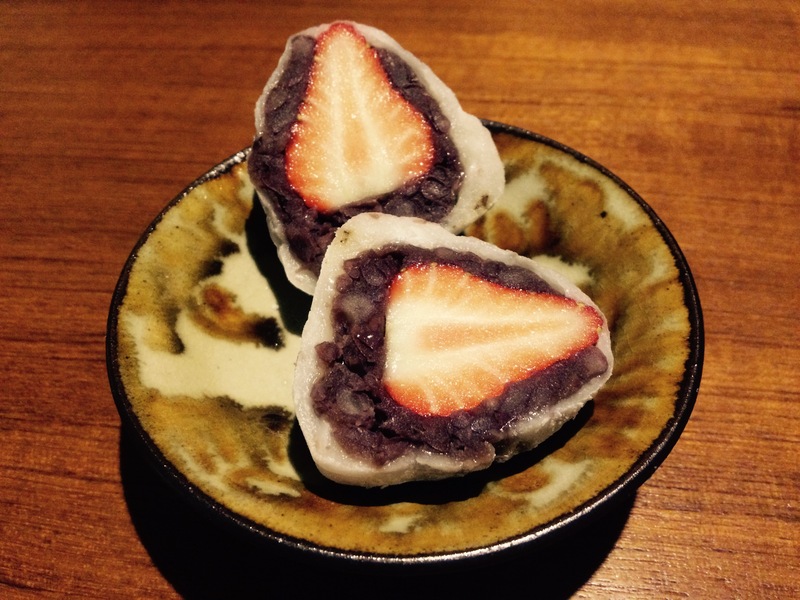 How about making Ichigo-daifuku (mochi filled with strawberry and bean paste)? 1. Make anko (bean paste) *Please refer to this post for details. 2. Make anko balls by wrapping each strawberry with anko. 3. Mix shiratama-ko, 50g sugar and 180ml water in a bowl. Microwave it for about 2 minutes and mix well. Repeat this process 2-3 times. Move this mochi paste to the tray (spread enough potato starch on its surface) and leave it until it becomes less hot so you can touch (but do not cool it down completely). Divide it into 8 equal parts using a scraper. 4. Wrap anko balls with shiratama mochi. It requires some technique as the mochi is really soft and sticky. Put enough potato starch on your hands when touching. Spread mochi on your hand and put anko ball and wrap it. Cut potatos, enoki mushrooms and put in the broth. Boil till soft. Add celery leaves and miso paste. So finally, sakura started blooming in Tokyo yesterday, following the announcement of Fukuoka on March 19. According to the weather forcast, it seems to last till the end of this month. I knew the taste of baby scallops when I was living in Aomori, the northern part of the mainland Japan, which is famous for scallop aquaculture. Baby scallops are culled just now – in early spring. 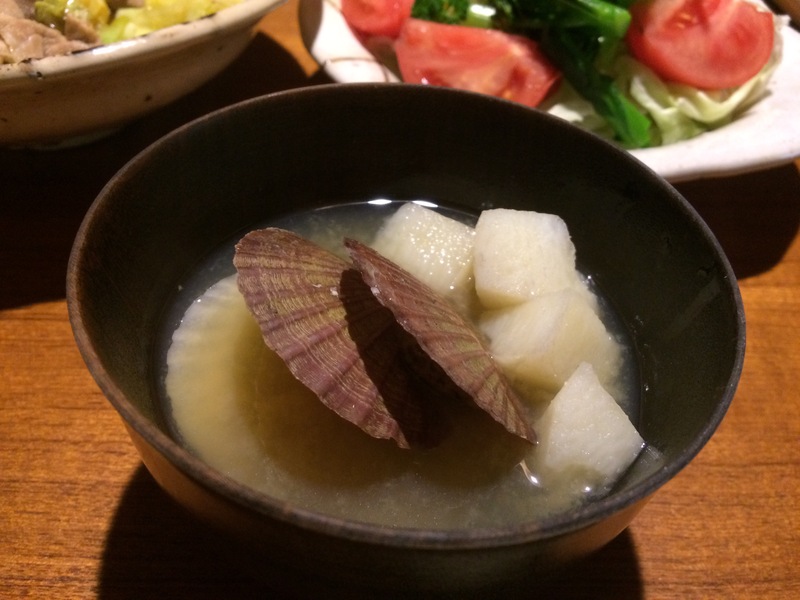 I’d never had miso soup with baby scallops in my hometown but it was quite popular in Aomori. Last week, I luckly found baby scallops in the supermarket near my house, so I made miso soup using them and Chinese yam which was also produced in Aomori. First, clean the scallops well and boil them in water with diced Chinese yam. Skim the scum. Add some miso paste and that’s it. Baby scallops make good stock, so it’s quite simple but tasty!